On Monday, foreign ministers from Europe and the Middle East met in Vienna, under the joint chairmanship of the US and Italy, to discuss bolstering support for a UN-backed Libyan government, amid growing sectarian strife in the country where dozens of tribal factions continue to war over political legitimacy and oil resources. 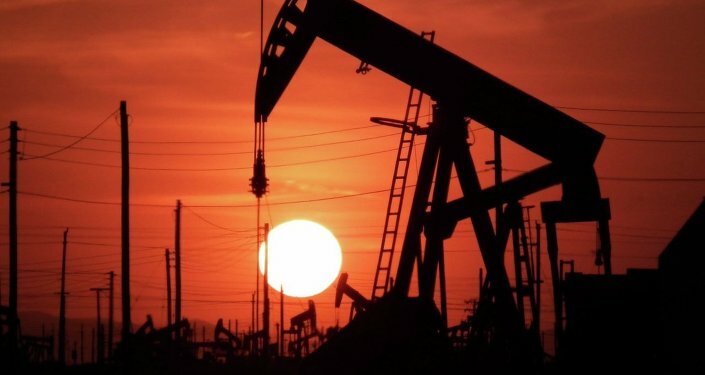 Did the Saudis Kill the American Shale Oil Industry? The once-wealthy nation, resting on oil rich terrain and having a relatively small population of four million, has devolved into a failed state, a hellhole-haven for Daesh extremists, following the NATO-led ouster of Muammar Gaddafi in 2011. The Libyan leader met his demise after a US predator drone struck his convoy, leaving him in the hands of a mob of extremists armed with US weapons, who viciously beat and sexually abused the once-feared dictator before shooting him dead. The assassination opened a Pandora’s Box in a country historically split into dozens of armed tribes. At the time, US Secretary of State Hillary Rodham Clinton boasted about the illegal killing of the Libyan leader, announcing infamously, "We came, we saw, he died." Before the foreign-led coup, Gaddafi warned that the country would dissolve into mob violence in his absence, with religious extremists taking over. Since his death, Libya has gone from a once secular, stable state, among the world’s biggest oil producers, to a breeding ground for Daesh extremism and fundamentalist repression. The story of Libya has effectively become President Obama’s Iraq, with Gaddafi filling the role of the slaughtered despot played years before by Saddam Hussein. With Libya descending into chaos and Western leaders talking about propping up and providing new arms to questionable elements in a fractured apocalypse, Brian Becker sat down on Tuesday with notable British parliamentarian George Galloway to ask if there is hope for Libya. ​Will the US-Italy led talks to bolster Prime Minister Fayez al-Sarraj in Libya bring peace and stability to the war-torn country? "I don’t think we can use terms like Libyan government or Libyan Prime Minister because there is no uncontested power in Libya, nor is there even a dual power – there is a multiple power," said Galloway. "Every tribal grouping and every Islamist front has a power and the chances of one of the competing interests in Libya of exercising proper gate power – control over the territory, control over the borders, and monopoly on arms — is next to zero." "The truth is that they shattered Libya into dozens of pieces, into a pre-Qaddafi and much further back state," said Galloway. "The Libyans had a king of sorts before they had Qaddafi, but now they have several kings, and several generalissimos, who all have their own armed bodies of men that are not going to relinquish their control, their ability to act independently of any central authority in Libya." "The truth is that ISIS is growing stronger there, al-Qaeda is growing stronger there, the preexisting Islamist militia, based on tribes and places, are emboldened, and there is this patchwork balkanization of an important Mediterranean power that is going to continue, I believe," stated Galloway. 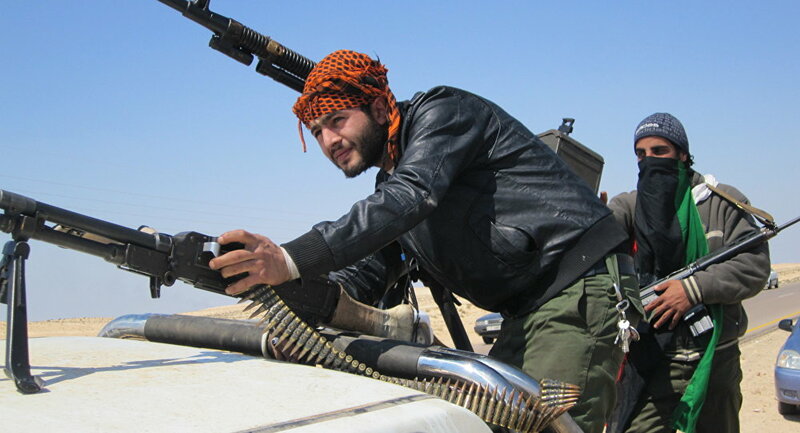 "Britain and America, although they may interpose special forces here or there, are not going to make the necessary commitment of ground forces to try and bring this situation under control, because the public opinion will not tolerate the inevitable level of casualties, which would be very considerable, the Libyans are very good at fighting," said Galloway. What was Libya like before the fall of Gaddafi? "Nobody could dispute that Libya today is far worse than it was before NATO led the destruction of the Libyan regime, and the predictions that Qaddafi made that he would be succeeded by al-Qaeda, of course, he did not know about ISIS then, who are even worse, the predictions that he made, and that he was laughed at for making, were all absolutely true," he said. Nonetheless, Galloway did not paint a rosy picture of the country’s conditions under Gaddafi. "The best thing that I can say for it was that it was one country, that it had one organ of state power, it had monopoly of weapons and armed forces within its territory, it controlled its borders both with Tunisia and Egypt and its Mediterranean coastline," explained Galloway. "Otherwise we would have had what we have now had since the destruction of the Libyan regime, an open door for African refugees fleeing war, famine, pestilence, and disease, the four horsemen of the apocalypse," said the former parliamentarian. Galloway explained that Gaddafi’s administration largely failed the Libyan people, due to widespread corruption and by not establishing necessary social systems. "Libya was a major oil producer, the biggest in Africa, and it had a very small population of four million people, every Libyan should have been very wealthy," said the former lawmaker. However, roads were left unpaved, universities were never built, and a national health care almost non-existent. The former parliamentarian admonished the Western media for cheering on the destruction of Libya and the ouster of Gaddafi. "I remember very well that SkyNews, the sister of Fox News, was showing these militants racing up and down the highways in pickup trucks, they were bearded, heavily-armed men, shouting Islamic slogans so, I’m not sure about what part of that picture these journalists failed to comprehend. This was obviously going to happen." The Western-led effort to 'spread democracy' through regime change again resulted in a tragedy and the creation of another stronghold of violent religious fundamentalism.